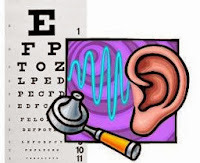 Vision and hearing screenings will be provided for 1st and 3rd graders on November 19th, 2013. Vision and hearing impairment can affect learning so we strongly encourage all students to be screened. However, if you would like your student to be excluded from either the vision or hearing screening, please contact the Health Office at (507) 328-3226 to complete an exclusion form.